John Harris was born at Paddington on 6 May 1908, son of Alderman Reginald William Sydney Harris. He was the grandson of former Mayor John Harris (1838–1911). He died suddenly at Killara on 7 July 1979, aged 71, survived by his wife Molly and two sons John and Bruce. Molly was the grand daughter of Robert George Watkins, alderman on the council in 1989-1904. He was cremated at the Northern Suburbs crematorium after a funeral ceremony at St Martin’s Church of England at Killara. Because of his indirect association with Surgeon John Harris, Harris was the vice patron of the Fellowship of the First Fleet. John Harris was Mayor of Ku-ring-gai in 1968. 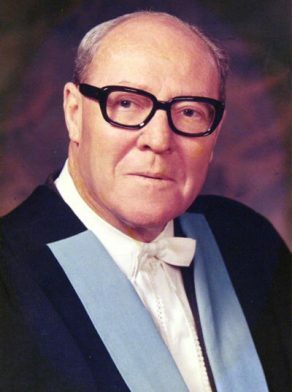 Harris was Alderman for Gipps Ward, 27 September 1969 to 16 September 1977. He was a member of the City Development Committee, 1969-77, the Community Services Committee, 1975 and the Finance Committee and its Chairman in 1975. He sat on the Works Committee, 1969-77 and served as its Vice-Chairman, 1969-71. He was a member of the Parking Advisory Committee, 1970-72. He also represented the Civic Reform Association.